Intuitive motion control company, Nexteer Automotive, has announced the expansion of its advanced steering technology suite at the 2018 North American International Auto Show (NAIAS). Nexteer’s suite serves as the technology base from which the company offers a combination of steering innovations addressing the evolving role of technology in a semi- and fully automated world. “While these industry-leading innovations can each stand on their own merit, the real game-changer is the combination of technologies in a single suite of technologies,” said Jeff Zuraski, Executive Director of Research & Development. With the press of a button or simply by grabbing the steering wheel, Steering on Demand System enables the safe, intuitive transitions of steering control between manual driving and automated driving in vehicles capable of SAE Level 3 and beyond automated driving. 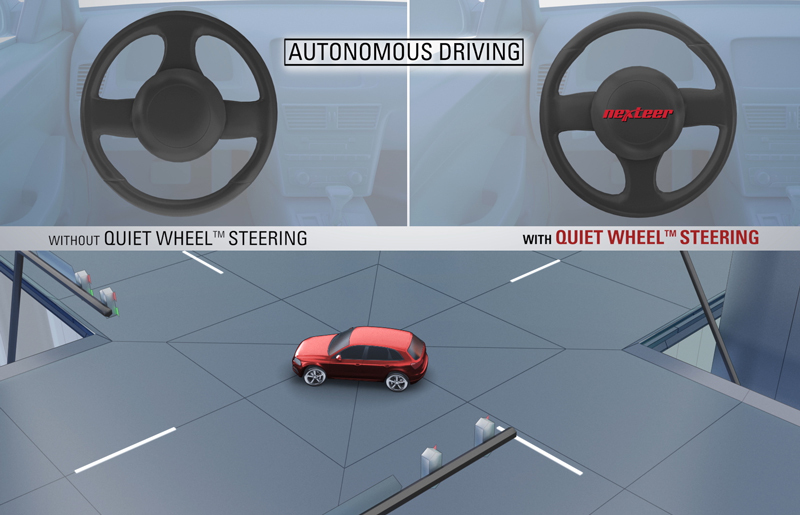 Vehicles equipped with Quiet Wheel steering may also be fitted with a 'stowable' column that retracts when automated driving is engaged, increasing available space for driver comfort and other activities. This stowable steering column technology gives the driver more control and options with safe, natural transitions between manual and automated driving modes. In steer-by-wire, the mechanical connection between the road wheels and the steering wheel is replaced with electronics and actuators on the steering column and rack. This system, supporting both manual and automated driving, opens new possibilities for advanced safety features, vehicle lightweighting and packaging flexibility. Nexteer’s SbW emulates the 'feel of the road' and offers a wide performance range – from sporty to luxury. In addition, the system’s variable steering ratio enhances manoeuvrability, as well as factors into Nexteer’s SbW steering feel achievement. 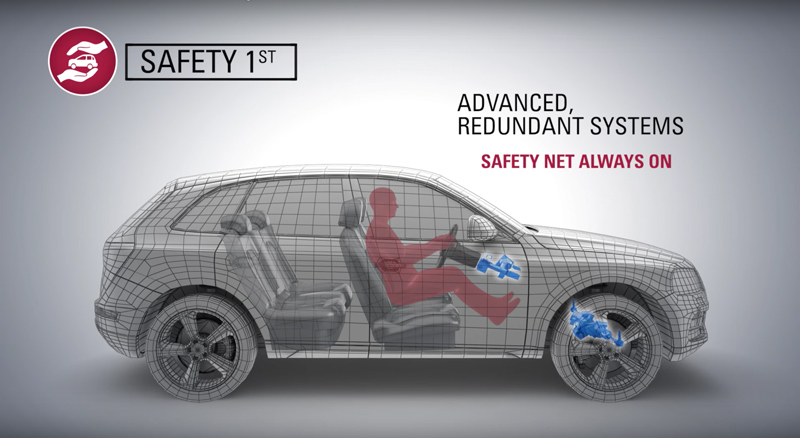 While Nexteer’s customers incorporate cyber security at the vehicle level, the company takes safety to the next level by integrating multi-layer cyber security at a steering system level for maximum protection. These cyber security technologies consist of specifically designed hardware modules on the semi-conductor level, as well as a multi-layered cryptographic software structure, that identifies and authorises information and command flow between the steering system and other in-vehicle or external controllers. As vehicles adopt advanced electronics to enable automated driving, internet connectivity and V2X communication, cyber secure steering technologies become even more critical. While Nexteer’s steering technology suite addresses current and future needs in lateral control, its R&D joint venture with Continental Automotive – CNXMotion – allows for expanded application by integrating steering with braking solutions. CNXMotion integrates longitudinal and lateral control technologies while accelerating R&D for both parent companies. Furthermore, Nexteer and WABCO announced a partnership to develop and supply active steering systems for medium- and heavy-duty commercial vehicles using Nexteer’s Magnetic Torque Overlay (MTO), a breakthrough ADAS-enabling product. Consequently, Nexteer’s comprehensive technology suite also offers comprehensive applications, including small cars up to Class 8 trucks.